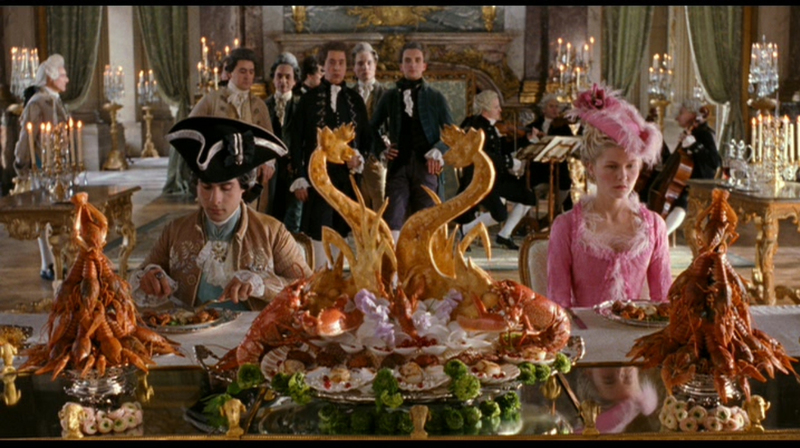 We were recently asked what our favorite food scenes from movies are - and somehow, this hostess drew a blank. 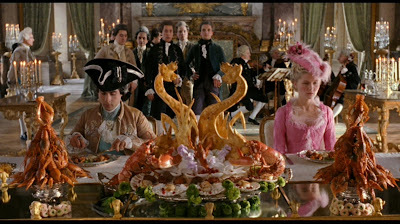 Of course, the next day we were reminded of so many scenes that make our mouths water - not only from the delicious food styling, but also the amazing costumes and cinematography. 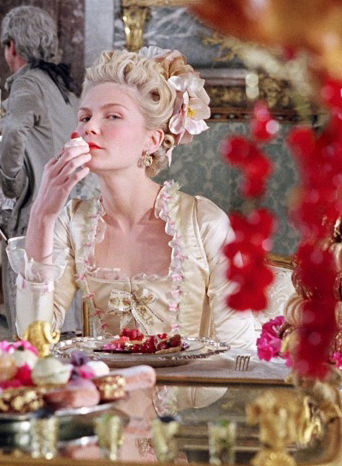 Our research on Poufs a la Jardiniere reminded us of one of our favorite movies - Marie Antoinette directed by Sophia Coppola. 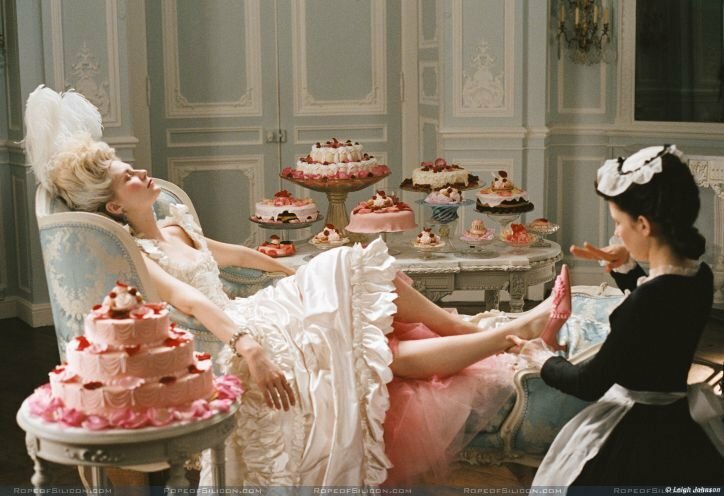 A delicious film indeed - a story about a girl, a queen, who likes to play cards with her friends, shop, and eat petit fours - what girl doesn't? 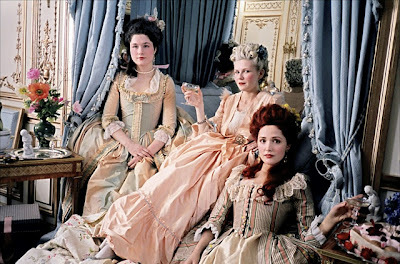 We were obsessed with this film when it came out - the gowns of satin and silk, tall coiffures, the saturated colors, and of course - the gorgeous food. 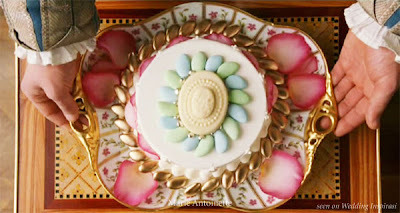 We adore the banquet scenes with carefully arranged asparagus, lush cakes and jellies, candied orange peels, mini bites of cream topped with berries and pistachios, all served on gilded and hand painted china. Swoon. Ah yes, sweet decadence. 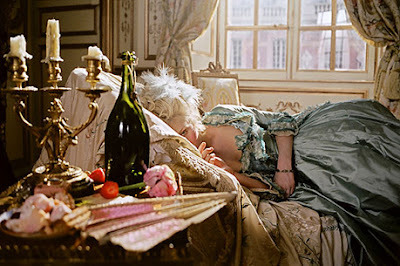 Too bad all this extravagance ended in the beheadding of Ms Antoinette. 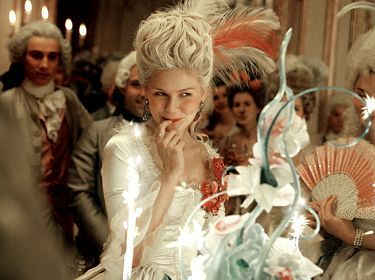 None the less, this hostess sure wishes she was there in Versailles to drink champagne, eat delicious cakes, and gamble with the girls. 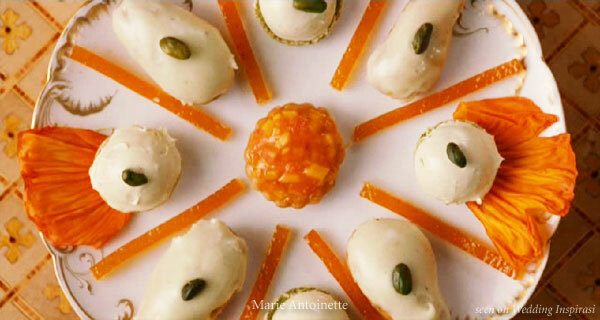 One last lust worthy video that is sure to make your mouth water! After all, who doesn't want candy? I love this movie and I wish i could have been at the Versailles of old as well. One creation I want recreate is the champagne glass fountain. Wish me luck!